New Haven, Conn. - Jan. 11, 2016 - EpiEP Inc. (EpiEP), a medical device company that has developed an FDA-cleared and CE-marked epicardial access system, today announced that William E. (Gene) Sanders, Jr. MD, MBA a recent medical officer at the FDA’s Office of Device Evaluation, Cardiac Electrophysiology Device Branch, has joined the EpiEP, Inc. Board of Directors. Dr. Sanders brings an extensive career as a practicing electrophysiologist, medical researcher, and FDA award-winning scientist to the EpiEP board position. Previously, Dr. Sanders was an Associate Professor of Medicine and Pathology at University of North Carolina at Chapel Hill, where he spent 15 years as the Director of Clinical Cardiac Electrophysiology and Pacing and Associate Director of Cardiovascular Diagnostic and Interventional Laboratories. He has been directly involved in the success of multiple start-up medical device companies, acting as a consultant and board member. He will offer a clinical perspective to the board as the company prepares for commercialization of its first product, the EpiAccess System™. In his board role, Dr. Sanders will participate in the upcoming Boston AF meeting in Orlando, Fla., as EpiEP updates clinicians and strategics on the EpiAccess System™ and future product offering. 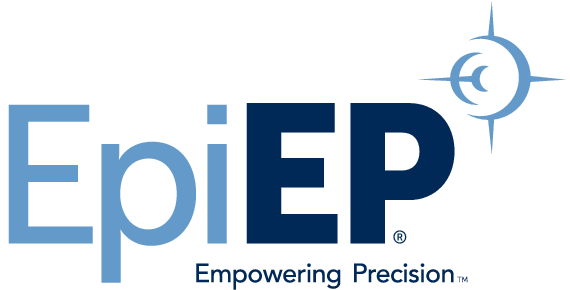 EpiEP, Inc. has licensed a portfolio of patent-protected epicardial medical devices from the University of Virginia. These products will impact the growing field of electrophysiology by providing physicians with novel tools to access and treat various cardiac conditions. The EpiAccess™ system is the flagship product, which provides electrophysiologists with a pressure guided access needle so the physician knows where the tip of the needle is located when it is being advanced to the virtual space between the pericardial sac and the surface of the heart without injuring the heart. The EpiAccess™ system is designed to result in better patient outcomes by reducing unintended puncture in the heart muscle. The system provides real-time feedback for physicians so they can know when the needle has reached the desired location.